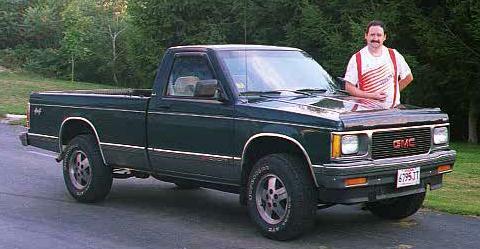 This truck replaced the 1986 Chevy Silverado. It was purchased from lessons learned from that big truck, including 4x4 and it's smaller size. This truck originally had it's own web page, but since we haven't owned it for over 4 years now, it's time to be retired. An old link that has been transferred is the RPO listing. That site had over 12,050 hits over it's 6 years existance (9/13/98 to 03/03/04). 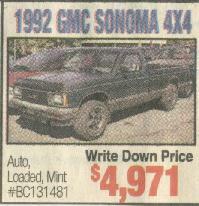 This truck has been traded in for a new 2000 Chevy S-10 Extended Cab 4x4. It had 129,000 miles when traded. 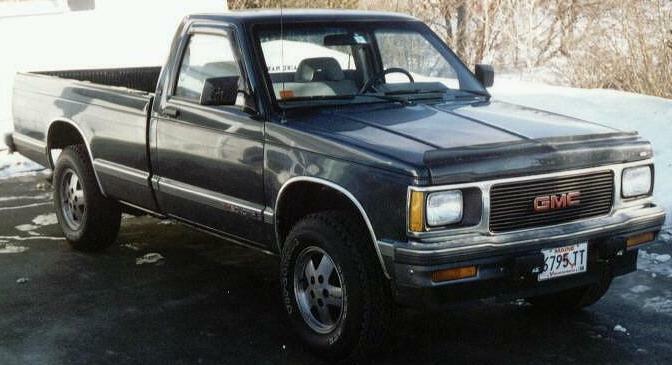 If you have any additional questions about the truck, feel free to contact it's old owner at JNCAyotte@aol.com. It was last seen up in the town of Kenduskeag after being seen for sale at a wholesale lot for $4,971.